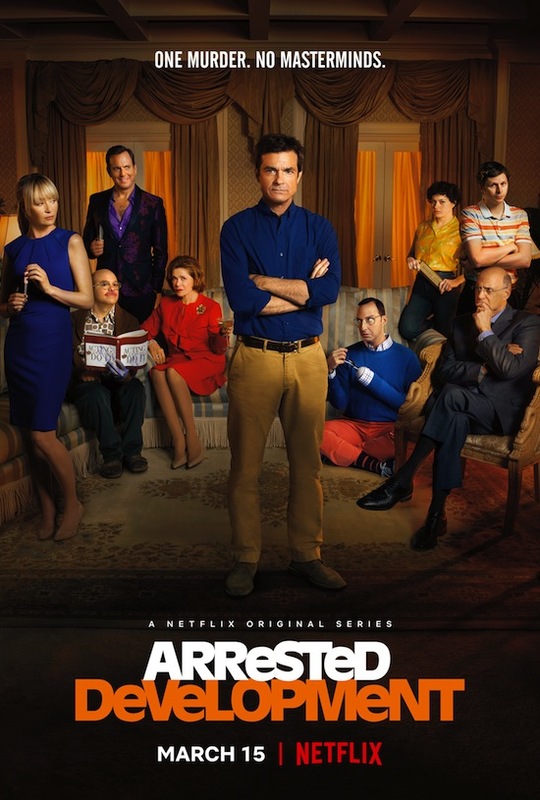 The second half of ARRESTED DEVELOPMENT season 5 will bow on Friday, March 15, the streaming platform announced. ARRESTED DEVELOPMENT is finally returning (on Tuesday, May 29), and the first photos of the new season are here. This isn’t a huge mistake: ARRESTED DEVELOPMENT season 5 will premiere on Netflix on Tuesday, May 29. In addition to the premiere date—which is just over three weeks away—the streaming service also released a trailer for the new season. The video touts the Bluth family being together again (after their largely separate arcs in 2013’s season 4), as they give themselves the “Family of the Year” award. Original series stars Jason Bateman, Portia de Rossi, Will Arnett, Michael Cera, Alia Shawkat, Tony Hale, David Cross, Jeffrey Tambor, and Jessica Walter are all set to return. ARRESTED DEVELOPMENT and ORANGE IS THE NEW BLACK both debuted seasons on Netflix last year, but to hype up the second season of OITNB — bowing on June 6th — the streaming site “revamped” the sophomore show’s opening credits in the style of AD’s signature opening. Is it bad I want to watch both shows now?! It’s finally happening — ARRESTED DEVELOPMENT is coming back in May with brand new episodes exclusively on Netflix. 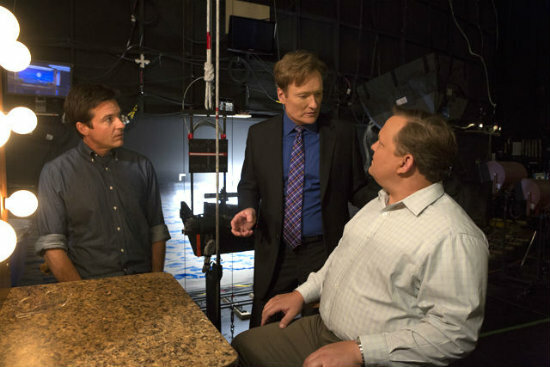 The first official photo from ARRESTED DEVELOPMENT’s new season is here…and it was debuted by upcoming guest Conan O’Brien. ARRESTED DEVELOPMENT returns (!!) on Netflix in 2013.